Reviving Al-Islaam: Did the Prophet Break His Teeth? One of the famous incidents that people justify doing tatbir (hitting swords on heads) and zanjeer (hitting chains on backs) when commemorating the tragedy of Imaam al-Hussayn (عليه السلام) is about Uways al-Qarni (companion of Imaam `Alee (عليه السلام)). After hearing that the Prophet’s (صلى الله عليه وآله وسلم) teeth were broken in the Battle of Uhud, he was so sad that he, himself, knocked out his teeth. Here is a Muwaththaq (Reliable) hadeeth from the Ahl al-Bayt (عليهم السلام) categorically denying that the Prophet (صلى الله عليه وآله وسلم) broke his teeth. The hadeeth is fairly lengthy; I will only quote the relevant part. Since the A’immah (عليهم السلام) categorically denied that this teeth breaking incident ever happened and the sources that deal with Uways al-Qarni breaking his teeth are not from Shee`ah books, then there is NO WAY for people who are for these practices (tatbir & zanjeer) to use this as a way to justify their actions. Good article. This story of Hadrat Uways al-Qarni (ra) breaking all his teeth is very, very highly suspicious because the honourable Hadrat, as far as I know, was only a Tabi'i, and NEVER met the Prophet (SAWA). So, the story is basically logically IMPOSSIBLE. He could have heard it. So it's certainly possible. Actually, they claim that the news reached him where he was and then he "knocked his teeth out". Nader you have done a great service and may Allah reward you for this. Please make a topic regarding this on shiachat. Brother or Sister, if you want to make a topic on Shiachat and put my post, you are more than welcome. Masha`Allah for your work; keep it up! 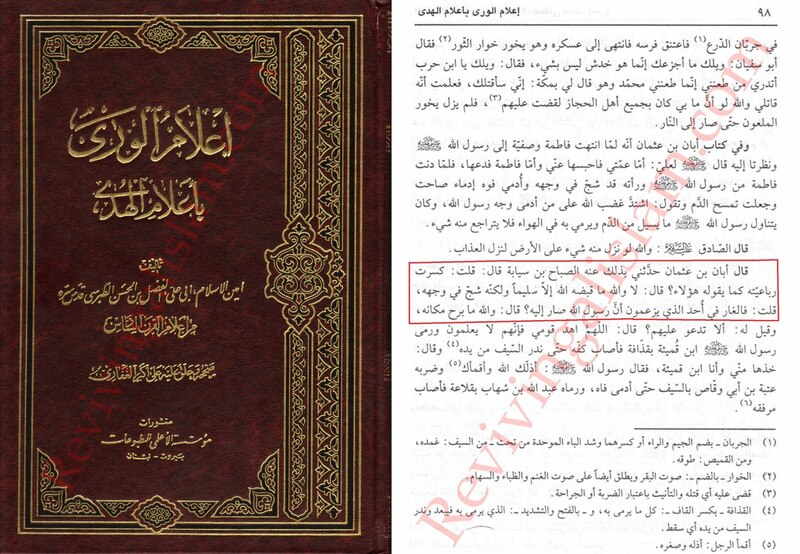 Can you please provide a Shee`ah source that says that `Umays al-Qarni ever broke his teeth (keyword: Shee`ah source). Also, can you please provide us with a source to where the Prophet (صلى الله عليه وآله وسلم) "commended" `Uways al-Qarni for this act that he has done. 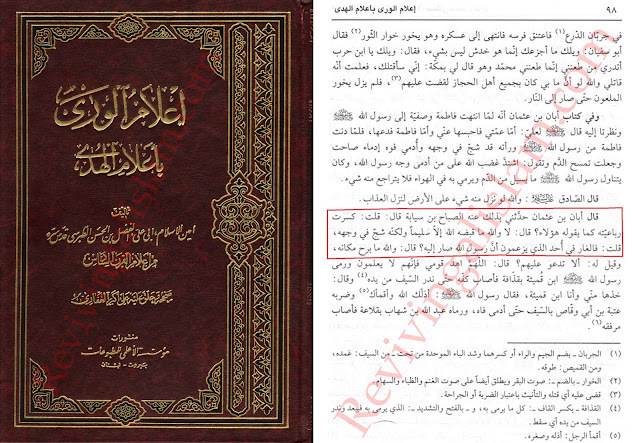 I have already stated that this isn't found in Shee`ah books, rather it is found in the books of the Mukhaalif. And only knowledge is knowledge from the Ahl al-Bayt. Are the above ahadith authentic? Nadir you have made lot of people fool. No one in this entire world claim that Prophet s.a.w broke his own teeth, thus title of your article is wrong in the first place. "The Prophet’s (صلى الله عليه وآله وسلم) teeth were broken in the Battle of Uhud"
So the Prophet (SAWAS) didn't break his OWN teeth, his teeth was allegedly broken, so when Uways heard this, he broke his own teeth because of grief. And people use Uways' actions as a form of proof for doing tatbir/zanjeer/matam, because the Prophet never forbade such an act. What I actually did is analyze if the Prophet ever had his teeth broken at any point in time, and after this saheeh hadeeth it shows that he didn't. I wish you could understand the what Allah gave Imam Hussain a.s for his great sacrifice. Only then you will understand. Instead of playing with words please do some research on 'Zibhul Azeem'. If you don't get why i said "stop playing with words", then ask me, i will explain that too. What does this have to do with Imaam Hussayn (AS) and his great sacrifice? I know about some of our aHaadeeth saying 37:107 is actually Imaam Hussayn (AS). There are no SaHeeH hadeeth that support this view. And what do you mean by "stop playing with words"? Asalam o alaikum brother Nader Zaveri, Jazakallah for posting these Ahadiths. I read ur Original post and all the subsequent comments that followed. While I dont doubt ur intentions for making this post, I however cant help but get a feeling that you personally are not in favor of tatbir and Zajeer. And possibly subconsciously, but it is that opinion which you carry which is leading you to search for any information/ahadiths which could be perceived to support your opinion. And the only reason I say that is because your whole argument seems to follow a top-down approach, which entails deciding what we want to prove and then finding hadiths to support it. Please read on and u will know why mentioning the said hadith doesnt support the anti-zanjeer/tatbir view at all, rather if anything, its the other way round. The specific Hadith that u mentioned talks about how Prophet Muhammad PBUH never got his teeth broken,"rather it was a wound on his face". 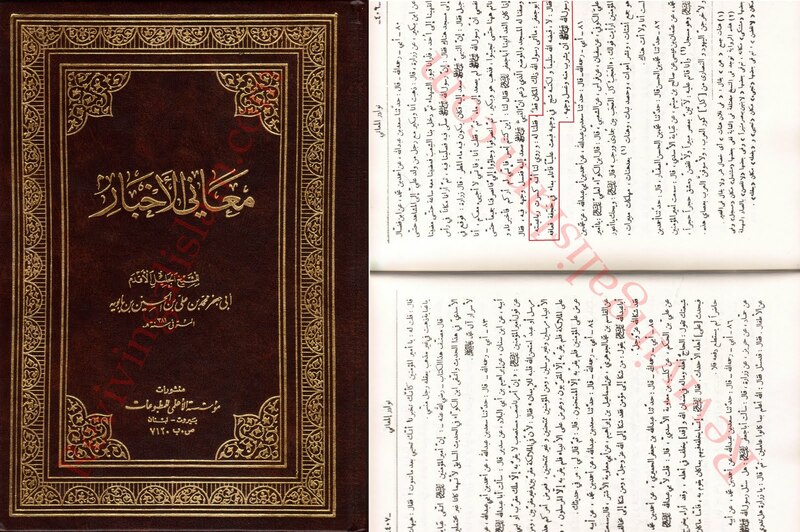 You even paste the scanned imagine of the source where you apparently retrieved this hadith from, apparently trying to prove the authenticity of the hadith. No one is mourning or engaging in tatbir/zanjeer because Prophet Muhammad PBUH did or didnt break his teeth! Like Brother Ibrahim mentioned above, Uwais Al-Qarni broke his teeth simply on "hearing" that prophet PBUH's teeth had been harmed, and was subsequently "commended" by Prophet Muhammad PBUH on his act as it showed Uwais's intense love for prophet Muhammad PBUH. So while prophet Muhammad PBUH had only suffered a wound on his face, the news that got to Uwais Al-Qarni was that prophet PBUH had harmed his teeth. Obviously, the only reason Uwais Al-Qarni did any bodily harm to himself was only because he had heard news about the harm suffered by prophet PBUH. And thanks to u for sharing the hadith, everyone now knows the exact Saheeh Hadith with source that some harm did in fact come to the prophet PBUH. The news of that harm reached Uwais Al-Qarni, only the news was faulty as he was told that it was the teeth that suffered the harm instead of the face. I hope you are able to see now, how no one should reach the conclusion that you did by reading that hadith. You will obviously ask for a saheeh source that talks about this incident, which I dont have. But you know what, I couldnt even have provided you with the source for the hadith that you just shared with us, probably partly because I dont carry an "opinion" on the matter so strong that it would lead me to look for ahadiths to justify my stance. I think the only thing that would have warranted making this blog post was if you had come across a hadith that was talking about prophet somehow "disapproving" Awais Al-Qarni's act or if you had come across a hadith that was saying that Awais Al-Qarni never broke his teeth, but surely you would have mentioned those already had u come across anything even similar. Also that would have been the bottom-up approach and the right approach if you ask me, which is learning from the ahadiths, instead of looking for ahadiths to prove our opinions on different matters. Its just that I get a little ticked off if I feel like someone is using faulty logic and/or trying to use random ahadiths to prove their opinions. Anyhow, like I said brother Nader, I only felt that maybe you have a strong personal opinion on the matter which is clouding ur judgement. But maybe I was "feeling" wrong. I have been wrong before plenty of times. Thanks again for sharing the Hadith and hope I didnt offend you. I believe you got my intention all wrong. It is correct that I do not have a positive view of zanjir/tatbir, but this is besides the point. I was not actually looking for any specific hadeeth, I was reading through al-Sadooq's Ma`aani al-Akhbaar's aHaadeeth and stumbled across this hadeeth. I have been hearing this story for a very long time, and they always mention "the prophet (SAWAS) breaking his teeth", they never mention the fact that he didn't break his teeth but `Uways "thought" he did. These are one of the stories people attempt for their post-justification of zanjir/tatbir. Also, that hadeeth that you and everyone mentions about the Prophet (SAWAS) "commended" `Uways' action of breaking his teeth is not mention in Shee`ah books, actually the whole action of `Uways breaking his teeth in general is not mention in Shee`ah books. Our hadeeth are very clear on not taking anything from mukhaalifeen (i.e. non-shee`ahs). `Uways has never met the Prophet (SAWAS), that is why he is considered a tabi`i, and is considered to be a staunch companion of Imaam `Alee (AS)who was killed at the Battle of Siffeen with Imaam `Alee (AS). Have you ever thought of it this way, that maybe this story about `Uways was to somehow make `Uways look bad? `Uways is not seen as highly praised of a person according to Sunnis, as he is per Shee`ahs. I applaud your attempts to reconcile the hadeeth, the only issue is this story of Uways and breaking his teeth is not found in the Sunni books. 1) The narration which speaks of not taking anything from amm - is this general? I mean, should we not take narrations regarding fiqh and aqeeda, or everything? even narrations pertaining to general history or magahzi? Is it not the view of Classical ulema that you can take things from their hadith as long as it does not go against our beliefs and fiqh? 2) The same people who quote this incident also quote the the tradition where it talks about Seyyda Zainab (A) hitting her head on a stone, thus they justify their actions. What is the authentication of such a hadith, and what about the hadith which Imam gives her nasiya (advice) before his martyrdom beat her face etc. Is this authentic. What did the classical ulema had to say about mataam? not the extreme form but the 'regular' tone downed version. 1.) It is general, we have hadeeth history hadeeth, but not as much as Sunnis (of course). But that just shows us, is all this historical information really that necessary. We have a rule in `ilm al-hadeeth which states to look at the `aam sources, and do the opposite. 2.) The hadeeth about Zaynab hitting her head is not authentic. Actually, the hadeeth in al-Irshaad forbids Zaynab from doing those actions. Hazrat yaqoob A.S cried for his whole life for Hazrat yousaf A.S and lost his vital boday organs the eyes.by knowing the lie from his other sons about yousaf A.S and no ayyat or wahi from God ever comes to condemn his such an act. Nader Zaveri u should know that people express grief and sorrow for imam hussain in different manner. As far crying for imam hussain is concerned then it has been related in a mutawtir form that it is highly recommended and as far as beating urself is concerned so if u read books which have been written on the tragedy of karbala u would know that after the tragedy of karbala women started beating themselves specially bibi zainab hit her forhead on the litter of the camel and her head started bleeding and there is also hadiths of imams where they gave permission for this if u want i can give u hadiths too and almost all great scholars have given fatwa in the favour of matam u can check ayatollah shirazi site where he collected fatwas of all the great past and present scholars who have given permission for it so u think ur more knowledgable than all of them?? Asalamo alaikum brother nader... i have two question. I understand that it isnt in sahih hadeeth but could you tell me where it is written and who wrote it?